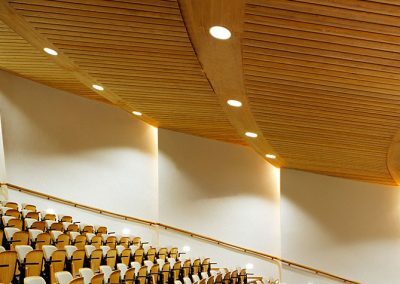 Good acoustics promotes healthier happier teachers and students, a more effective learning environment and better educational outcomes. 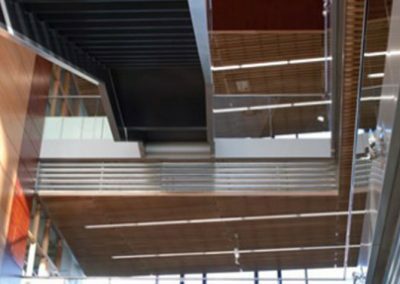 Educational space, much like the office, has evolved away from the didactic style of the past to put a greater emphasis on group work and incidental learning. As a result, noise levels have risen. Today, speech intelligibility in the fourth row of an average untreated classroom is around just 50%. This presents challenges for educators and students alike. 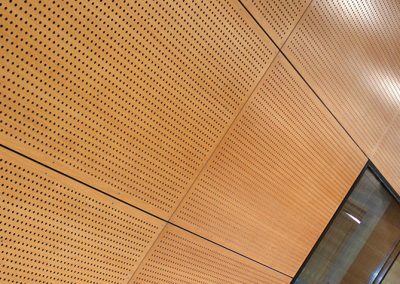 Acoustic treatment can have a real impact on outcomes as numerous studies have shown that behaviour and results improve in acoustically treated rooms. 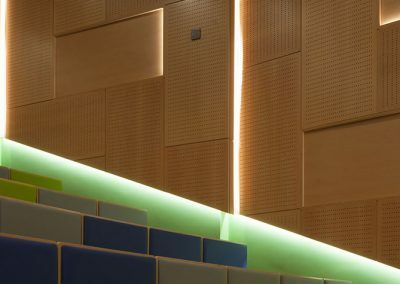 Woodfit provide acoustic treatments for teaching and sporting facilities in schools and colleges, including sports halls, classrooms and lecture theatres. See a selection of such projects below.